A North American gentleman with quite the following of his F2's and hybrids in the past. Some very nice strains at an affordable price. These were made from a pack of seeds I got from Serious Seeds in Holland a few years ago. Here are some things that were written about it:"An easy-growing good producer, this strains power earned it the name. More the idea of a "one hit wonder" than anything violent is intended by the name. "AK" has won many awards at the Cannabis Cup and other Cannabis festivals, 6 in total." "These plants have a short flowering period, producing hard compact buds which gleam with resin crystals making any farmer proud. Quality without compromise, this is some serious flowerpower." I would say that's right, it is an excellent plant to grow. It seems to have about equal amounts of indica and sativa with maybe slightly more sativa by looking at it. The high is really super and isn't anxiety producing at all. I've always gotten good harvests from this plant. Many people call it one hit weed. The last time I tested this batch of seeds I got 80% germ rate so you should get around that also. This is the blueberry I've been using in my blue crosses such as Blue Apollo and others. I got it originally from DJ Short a few years back and am offering it in an F2 form. Blueberry is a high yielder with the soaring blueberry high and delicious blueberry smell. It gives large buds that are rock solid. Blueberry has been a favorite of many growers for years now and has won many awards. Your mouth will be watering every time you tend your plants. Try to wait until they finish before you sample some, I know it will be hard to wait. The blueberry moms have blue/purple stems particularly in the seedlings and the leaves or buds also tend to turn a bluish shade at the finish. 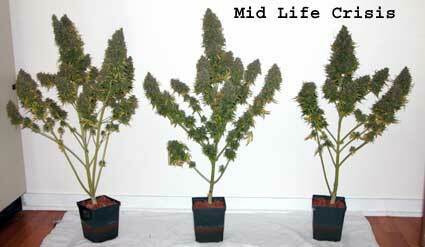 Both blueberry and A11 are hardy vigorous plants with very nice buds. I expect this one to be a winner. Top them in veg so they stay short for you at the finish. I recommend a not too strong nute schedule. If you are growing in bubblers try a tds of 800 or 900 max. In soil use a little less than you use on your other plants. These are seeds made from Brothers Grimm stock. One of the nice things about this line is it's quite true breeding. You will get 99.9% of what you get from the original. Cindy is a very easy variety to grow. You will never get a hermy even if you mistreat her. She is cooperative and will show you the gender in the preflowers even in the veg stage. Cindy is easy to clone and will root readily. I've successfully cloned her even from cuttings taken after two weeks of flowering. Cloning is the way to go and after you pick out your favorite female plant use the clone from her to be the clone mother. Another great thing about this variety is it's exceptionaly low odor. It has very little smell while it's growing and it smells kind of citrus like or a faint lemon lime scent. If you were worried about stinking up your house or apartment, this will help keep you safe. The high produceed is out of this world! I would call it a super up high, the type that makes you want to do things and laugh like a loon. It's spacey and very cerebral. If you want something that will impress your friends this is it. A unlabeled mix of Joey strains. This is one of the true classic strains. NL has been popular for decades and for a good reason. It's an extremely fast growing and high yielding plant. Add to that the fact its very potent with a delicious sativa-indica high and you have a perfect plant for anyone's garden. This is a must for growers who prefer short bushy plants. The buds have an extremely frosted resinous appearance, and the yield is high. It has a high calyx to leaf ratio giving large buds. Hint: Use light soil when growing. Growth rate of up to 3" per day. 100% Stable. For the last couple of years the Northern Lights has dominated the various Harvest Festivals. Through selective breeding success has been made in producing one of the most powerful plants in the world. compact, powerful with a good yield and exceptional resin production. 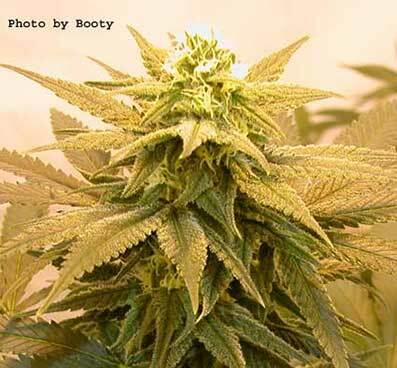 It has been called the most lucrative plant for the indoor grower. This particular variety of Northern Lights is a blend of several NL's. It has been selectively inbred to bring out the best qualities of all the subvarieties. White Widow This is the F2 made from seed stock I got from Green House in Holland in the late 90's shortly after it had won the cannabis cup. It has been a long time favorite of many growers. Some people have said that the WW sold by Green House today is not the same as what they offered years ago. Enough people demanded the original version that I decided to come out with this. Consider it WW from days gone by. White Widow is a cannabis cup winner that has won multiple times. It has incredibly frosty buds so covered with trichomes that it looks like it's got snow on it. The trichomes themselves have long stalks making the buds look furry. It's a good yielder and amazingly potent. I saw a report saying white widow was analyzed by a laboratory at 19.5% thc. It has been used to create Blue Widow, White Russian and other heavyweights which pays tribute to it's phenomenal qualities. Veg for 4 to 8 weeks and then flower for 8 to 10 weeks. It can grow tall so top it or bend it in veg to keep it short indoors. It like lots of light and medium ferts, heavier in late flower.